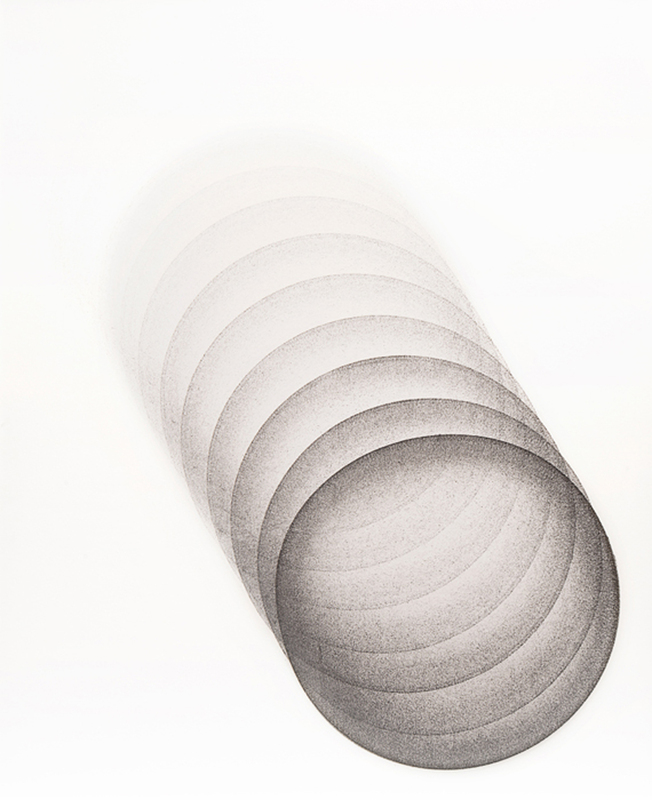 Brent Sommerhauser - an artist working in sculpture, glass and on paper. 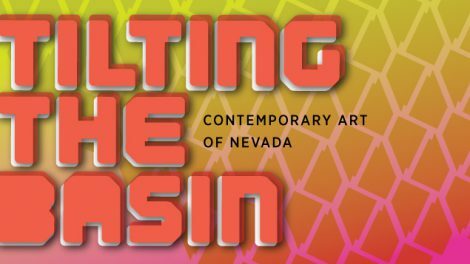 Nevada Museum of Art Director of Contemporary Art Initiatives JoAnne Northrup has partnered with Las Vegas-based art advisor Michele Quinn to co-curate ‘Tilting the Basin: Contemporary Art of Nevada’. The exhibition bridges the divide between Northern and Southern Nevada communities and provides a wide-ranging overview and understanding of the most accomplished work being created by more than thirty artists living and working in Nevada today. The first nationally significant exhibition presenting art made in Nevada occurred in 2007 with Las Vegas Diaspora: The Emergence of Contemporary Art from the Neon Homeland, on view at the Las Vegas Art Museum, which has since closed. Organized by the well-respected art critic and curator Dave Hickey, the exhibition celebrated the work of twenty-six artists, all of whom received their degrees from the University of Nevada, Las Vegas (UNLV) and studied with Hickey between 1990 and 2001 when he taught art theory and criticism in the Department of Art at UNLV. Fast forward almost ten years later. After more than fifty artist studio visits in both Northern and Southern Nevada across Nevada, spanning Las Vegas to the south, Reno and Carson City in the north. 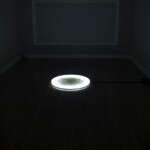 Northrup and Quinn’s research revealed that the Nevada contemporary art scene does not evidence a singular aesthetic permeating artists’ work, but rather a wide array of practices and media. 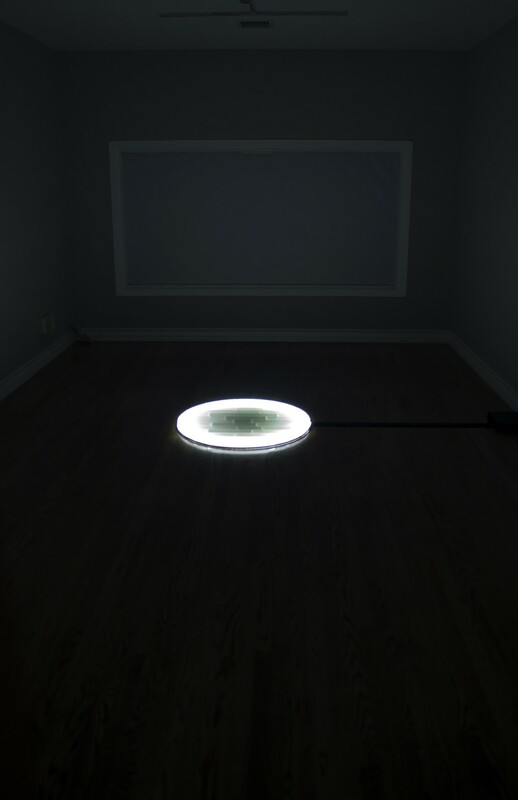 Nevada artists are creating innovative work ranging from painting, sculpture, and installation, to photography, interactive, and sound art. Their work is informed by popular culture, the natural environment, and landscape, as well as cultural identity, politics, and current events. Tilting the Basin: Contemporary Art of Nevada aspires to provide contemporary dialogue aimed at enlightening our broader audiences to the richness of our entire arts community and how it can be a powerful tool in the growth of the great state of Nevada. The exhibition highlights the work of six artists in depth, showing several examples from each in a variety of media. Featured artists include Galen Brown, Justin Favela, Katie Lewis, David Ryan, Brent Sommerhauser, and Rachel Stiff. The remaining artists’ work will give visitors a wide-ranging picture of the art being created across Nevada today, including painting, sculpture, drawing, photography, mixed media, street art, installation, sound performance, fiber arts and new media. Some work, like that of Reno photographer Megan Berner, will live exclusively on social media. Berner plans to take daily photographs of the Northern Nevada sky for the eleven-week duration of the exhibition. The images will post to the Nevada Museum of Art Instagram account, allowing the community to view the body of work as it develops over time. Additional collaborations and offsite installations are planned as well. 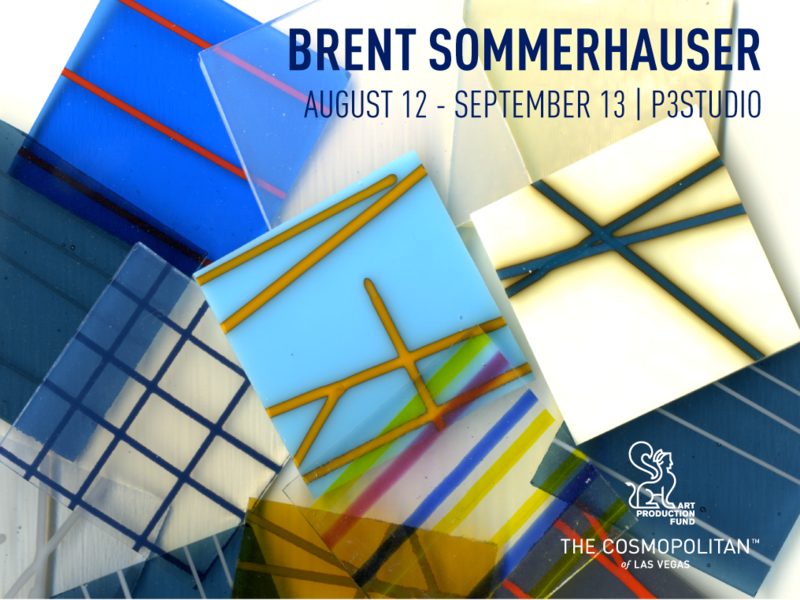 Las Vegas-based artist Brent Sommerhauser will collaborate with Reno-based Holland Project and Nevada Museum of Art E.L. Cord Museum School to create small ‘sketches’ in glass by layering rich color combinations of glass powder, glass strings and other glass elements over handmade glass tiles that Sommerhauser will fire on-site in his kiln. The resulting tiles will be photographed and shared on the Nevada Museum of Art Instagram account and displayed in the E.L. Cord Museum School. The combined tiles will contribute to a growing work that will serve as a participant record. Performance art elements of the show include Justin Favela’s Family Fiesta. 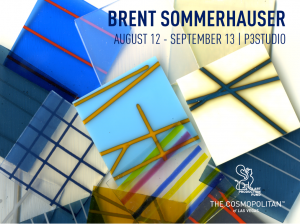 The Cosmopolitan of Las Vegas, in partnership with Art Production Fund, is pleased to announce P3Studio artist-in-residence Brent Sommerhauser. Although glass is all around us, its use as an art material has an air of mystery. 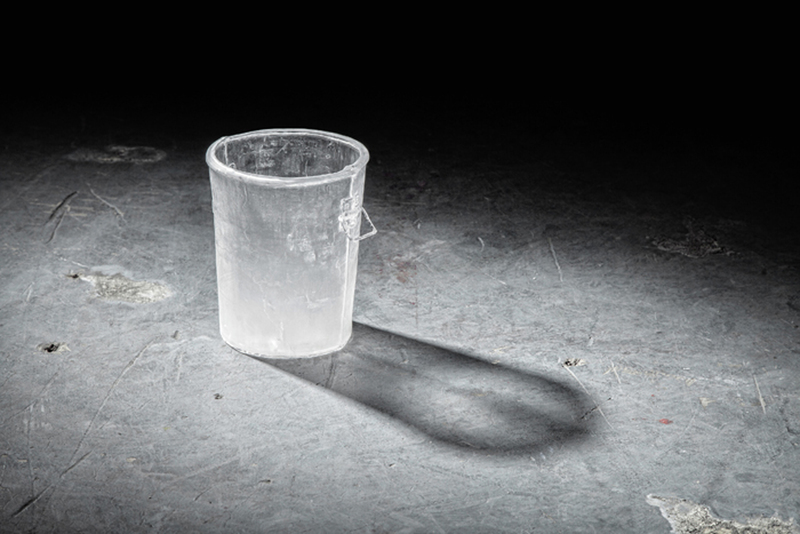 Inside P3Studio, Sommerhauser will introduce guests to kiln-formed glass, demonstrate the process of working with it and showcase the potential of this dynamic art-making material. Guests will have the opportunity to create small ‘sketches’ in glass by layering rich color combinations of glass powder, glass strings and other glass elements over Bullseye handmade glass tiles that Sommerhauser will fire in his Olympic glass kilns. The resulting tiles will be photographed and shared on his Instagram account @P3GlassArt. Then, the tiles will be combined and contribute to a growing work that will serve as a record of those that participated, filling P3Studio with light, color and pattern. 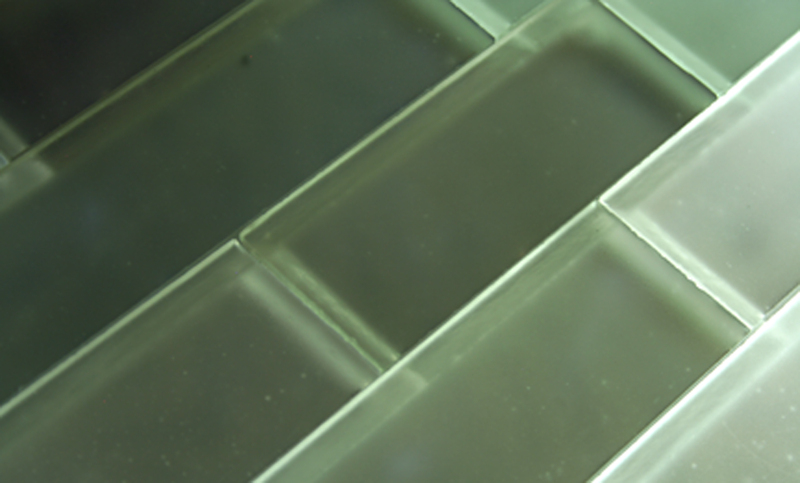 Kiln-formed glass is created by assembling and heating opalescent and transparent glass elements in a kiln to around 1,500 F until it softens and fuses together into single sheet of glass that can have exceptional color definition, richness and saturation. 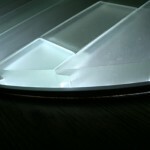 While the actual design process can be quite direct, the fusing process generally takes days to become fully realized. 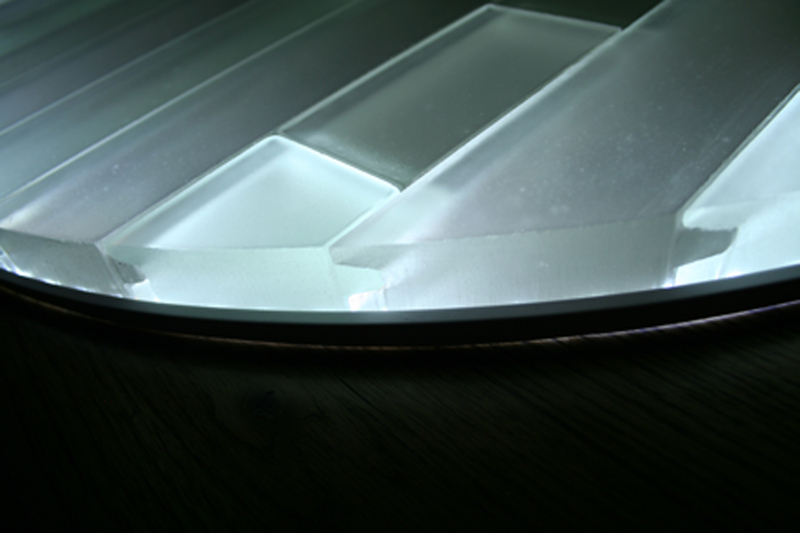 After the initial fusing, the glass can be further manipulated, layered and fused again and again until the desired form and color is achieved. Kiln-glass is especially rich territory for artists because it encompasses an enormous range of working methods including drawing, painting, printmaking, sculpture and more. 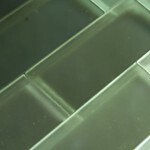 Although shapes and patterns may be repeated, each kiln formed glass work is completely unique since the glass is handmade and evidence of the process is often visible in the final product. Brent Sommerhauser, a Las Vegas-based artist, received his Master’s of Fine Art from The Ohio State University and has since exhibited in group and solo exhibitions across the United States and abroad. 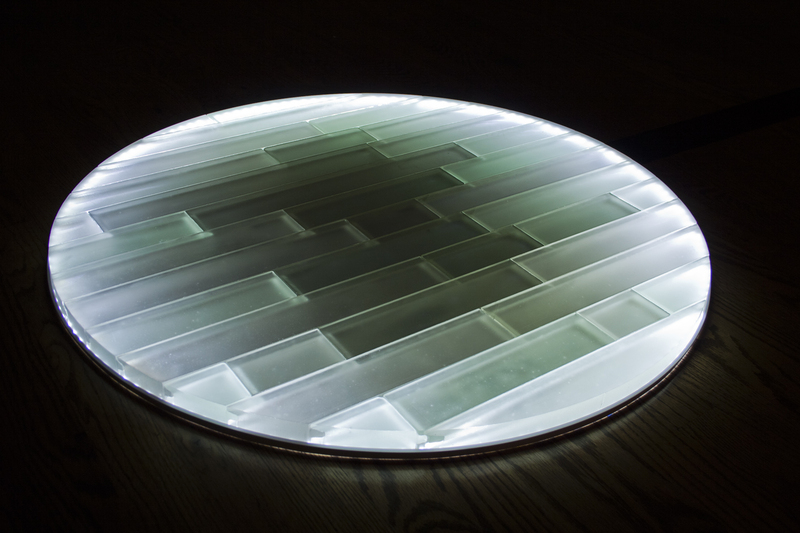 Notably, his sculpture was included in the 2004 Windsor Biennial and was selected for New Glass Review 26, featuring innovative works in glass worldwide. He is also a participant in the Telegraph Art Collective, which originated in Detroit and functions as a running conversation, typically conducted at long range. Occasionally the group materializes and collects in one location to collaborate on projects and exhibitions. 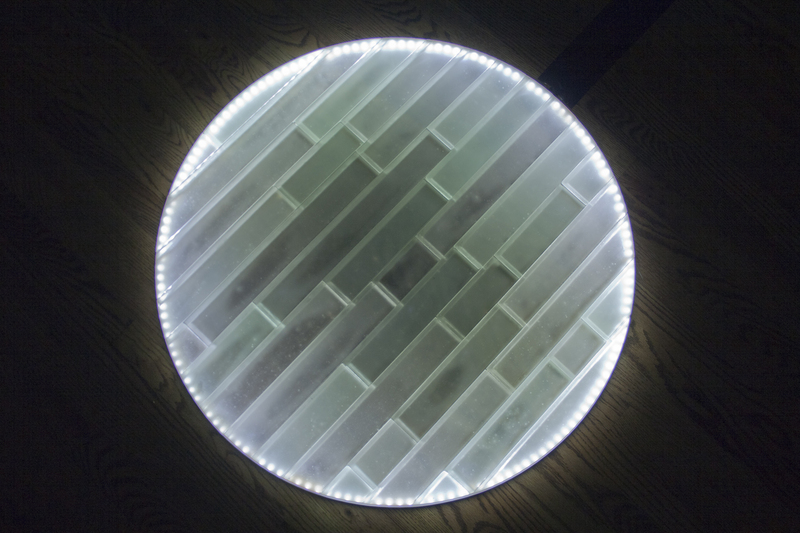 Although Sommerhauser works in a variety of art materials and process, he has over 20 years of experience in a wide range of glass-forming processes including glassblowing, casting, kiln forming, sculpture and vitreography. 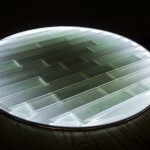 In addition to his own glass work and teaching, he has assisted a number of artists realize their vision in glass through sculptural, architectural and public works. He recently returned from assisting with a special project in Murano, Italy, the fabled island in the Venetian Lagoon where glass has been made for more than 700 years. He has taught at Pilchuck Glass School, one of the world’s most comprehensive centers for glass art education. The artist-in-residence program at The Cosmopolitan of Las Vegas represents one component of its larger art program, in which artists create projects that are interactive and participatory, giving guests the opportunity to connect at an authentic and personal level. Developed and curated in partnership with Art Production Fund, a nonprofit organization dedicated to producing ambitious public art projects, it strives to reach new audiences and expand awareness through contemporary art. 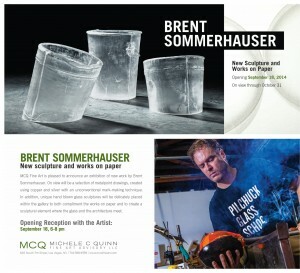 MCQ Fine Art is pleased to announce an exhibition of new work by Brent Sommerhauser. On view will be a selection of metalpoint drawings, created using copper and silver with an unconventional mark-making technique. In addition, unique hand blown glass sculptures will be delicately placed within the gallery to both compliment the works on paper and to create a sculptural element where the glass and the architecture meet. 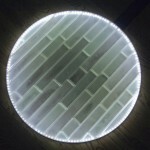 The Nevada Arts Council selects artists to receive 2012 Artist Fellowship Award. Linda Alterwitz, Audrey Barcio, Mark Brandvik, Jeff Burden, Bradley Corman, Gig Depio, Jim Dine, Marylou Evans, Gerald Gooch, Nancy Good, Sherin Guirguis, Bobbie Ann Howell, Michael Ogilvie, Pasha Rafat, Edward Renouf, Harry Roseman, Jim Rosen, Dave Rowe, Brent Sommerhauser, Daryl Trivieri, Charles Wells, Bettina Werner, William T. Wiley, Stephen Yadzinsky. Features work by Richard Tuttle, William T. Wiley, Jean Cocteau, Steve Keister, Michael Childers, Bettina Werner, Brent Sommerhauser, Robin Kelly, Sherin Guirguis, the ancient Mayans, and more. Curated by Audrey Barcio, Lucky DeBellevue, and Robert Tracy. Residency at The Cosmopolitan of Las Vegas, in partnership with Art Production Fund. 'Sketches' in glass, created by guests of the P3Studio. Gail Gilbert and Brent Sommerhauser discuss personal evolutions and the Artist. 'Out of Town' - Open USA: 44 American Glass Artists. 727 Susanna Way, Henderson, Nevada. Featuring Chris Bauder, Justin Favela, Todd Duane Miller,Erin Stellmon, Brent Sommerhauser. September 5 – September 28, 2013.
a project created by Chido Johnson. October 9, 2012 - December 14, 2012.